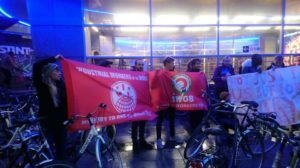 Since 2016 riders for “gig economy” platforms have been organising for better working conditions across Europe and beyond to Hong Kong, Indonesia, Argentina and Australia, grabbing media headlines with their demonstrations and strikes. Their story is one of David and Goliath; precarious and disposable workers standing up to billion dollar companies. They have no fixed workplace and self employed couriers have no worker protections, and are denied the right to freedom of association. So how do they manage to organise? This has become somewhat of an obsession of academics and journalists, but the answer is arguably quite simply. They network, meet up, strategise and take collective action. 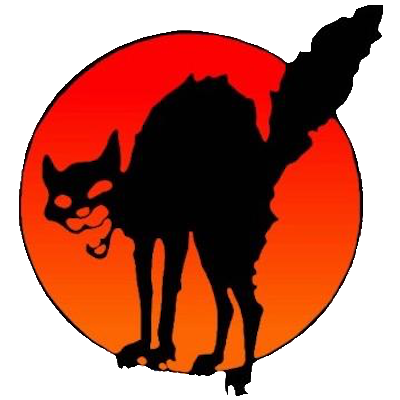 And that’s what couriers from 31 different collectives and unions did in October 2018 when they met for the biggest ever international couriers congress in Brussels. Couriers from France, Italy, Finland, Spain, United Kingdom, Germany, Netherlands, Norway, Austria, Switzerland and Belgium came together for two days to discuss common ideas and strategies and founded the Transnational Courier Federation. Most of the riders have been organising under platform companies such as Deliveroo, UberEats and Foodora, while others have started their own delivery companies with CoopCycle or developed cooperative apps such as Mensakas. Some are members of works councils, others are organised in independent collectives. But one thing is clear; this is the beginning of a more unified transnational courier movement organising against precarious working conditions. We hope that we can in the future act transnationally…and act also across the service and food industry. Because it’s not just us… its about precarious workers in general and how work in society is organised” explained a member of Justice4Couriers from Finland who was at the meeting. All power to the Transnational Courier Federation!